Google has confirmed to TechRadar that it is not in talks to sign up BT and live Premiership football coverage for its Google TV platform. Google TV launches in Britain on Sony equipment in the third week in July, with the tuner-free box bringing apps and a browser. There were suggestions that Google would compete for Premiership rights – which were won by powerhouse Sky and BT – in order to seal premium content for any Google TV launch. BT is a key partner in another IPTV service YouView, but could well launch a Premier League channel available over more platforms to recoup its investment. Therefore it remained a possibility that Google would see if it could have a BT Premiership channel app within its ecosystem, something that Google TV's head of global distribution denied. "We're not having conversations with BT over premiership football, but obviously we talk to everyone," said Suveer Kothari. With the first Sony Google TV kit both designed to work alongside an existing set top box rather than instead of it, this is not a huge surprise. 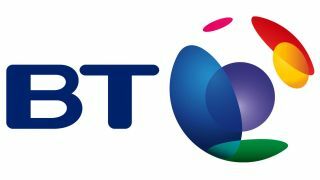 BT has not announced its plans for its Premier League rights although it is certain to be pushing it across both YouView (as and when it launches) and BT Vision. If it is available on other platforms, don't rule out availability on Google TV just yet.